Referring to the issue, SCBA President Vikas Singh said “We are in active discussion with the registry. From coming Monday we are proposing a system where lawyers go to argue through the aisle to the arguing desk and then go out through either of the two sides. This is to reduce the congestion at least in the aisle caused by lawyers going and coming and the path gets jammed. Singh also welcomed a suggestion mooted by Justices Ranjan Gogoi and Madan B Lokur to divide cases as “to be heard pre-lunch session and post-lunch session” ..divide the cause list and mention it on the cause list so that all lawyers and litigants need not crowd the court from morning. 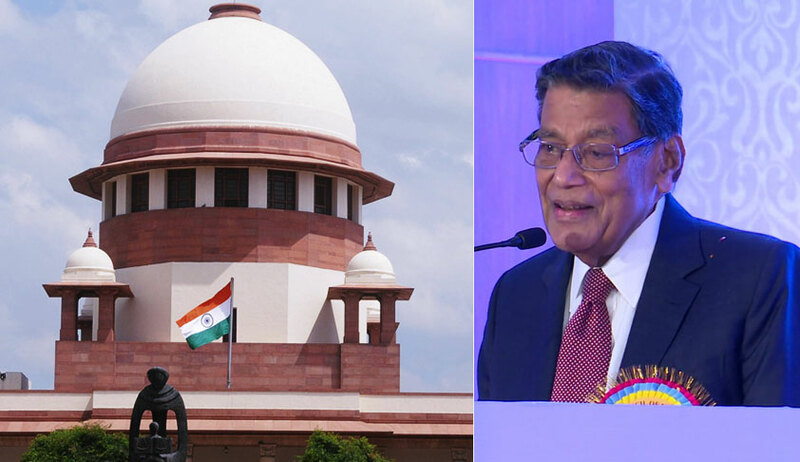 Attorney General K K Venugopal used the occasion of Independence Day celebration at the Supreme Court lawns to raise the issue of acute congestion in the apex court corridors and courtrooms and said the issue needed immediate attention. He said the woman lawyers were worst sufferers. Venugopal said live streaming of court proceedings might help. “A petition is pending for live streaming of the proceedings of the court and with audio this is common in 42 countries ..it is expensive but worth it …other alternative option is combining court halls”, he said. “If there is live steaming lawyers interns can watch it from outside the court and enter the court when their turn or the case in which they are required comes they would be in a better position ..I am not offering a solution only asking the powers that be to find a solution”, he said. SCBA President, referring to the issue said “We are in active discussion with the registry. From coming Monday we are proposing a system where lawyers go to argue through the aisle to the arguing desk and then go out through either of the two sides.This is to reduce the congestion at least in the aisle caused by lawyers going and coming. Singh also welcomed a suggestion mooted by Justices Ranjan Gogoi and Madan B Lokur to divide cases as “to be heard pre-lunch session and post-lunch session” and mark it on the cause list so that all lawyers and litigants need not crowd the court from the morning.